Below you’ll find the most comprehensive listings available anywhere for Portuguese campsites. Facilities can be a bit basic in some older site. One personal bugbear is that Portuguese sites very rarely provide hot water for washing dishes. A lot of larger sites also offer bungalows and cabins to rent. These can be a good deal if you want to cook for yourself but need to get out of the elements – and are why many sites stay open year round. Prices: Camping is generally cheap – for one person, a bike and a small tent you can often expect to pay below 10 Euros even in high season. However, prices can be a lot higher on the coast (sometimes double that of inland), particularly during July and August. Where prices are given they’re high season charges (generally June – September) for two adults and a medium tent. Bicycles – and showers – are normally free. Low season prices can be considerably less. Websites & contact details: I’ve given as much information as I can find. Website links are provided where they exist. If you find any information is wrong or out of date, please let me know. Apart from individual sites, Orbitur is one of the biggest chains, with campsites along most of the Portuguese coast and several inland. For their main website click here – (English and five other languages available). Opening Times: Where possible, I’ve listed when campsites are open. However, not all sites provide this information and I would strongly advise you check before planning any trip – some sites are open all year but smaller municipal sites may only be open June-September. Please note: The Douro Valley is the border between the Northern Portugal and Beiras regions so you may need to check both areas if you’re looking for sites in the Douro area. AMARANTE: Penedo da Rainha – site run by the Camping Club of Porto, shady riverside setting 1km to the north of town. Address: Rua Pedro Alvellos, 4600-099 Amarante. Tel: 255 437 630 Email: ccporto@mail.telepac.pt Price: €8.20. Open: Jan to Nov.
ÂNCORA: Camping Paço – on the banks of the Rio Âncora, just south of Vila Praia de Âncora and the resort’s sheltered beach. Address: Rua do Paço, 4910-024 Vila Praia de Âncora. Tel: 258 912 697 Email: geral@campingpaco.com‎ Price: €11. Open: Apr 15th to Sept 30th. BRAGA: See also Caldas Taipas. Parque de Ponte – shady municipal site only a short walk from the city centre. Address: Parque S. João da Ponte, Braga. Tel: 253 273 355 Email: parque.campismo@cm-braga.pt Price: €7.75 Open: Apr 1st to Oct 31st. BRAGANCA: There are three options in the area, of which the municipal site is closest to town. I’ve only stayed on the one at Cepo Verde. See also Vinhais. Cepo Verde – the campsite is not that convenient for town as it’s about seven km west, just off the N103. However, it’s a beautiful rural setting with the site on a number of wooded terraces although these can be gloomy out of peak season. The views are fantastic but there’s a nasty hill just before the entrance. Address: Lugar da Vinha do Santo, 5300-561 Gondesende. Tel: 273 999 371. E-mail: info@montesinho.com Price: €14. Open: All year. Parque de Campismo municipal – former Inatel site about 6km north of town beside the N103 heading towards the border with Spain. Address: Estrada de Rabal (N103), 5300-671 Meixedo, Bragança. Tel: 273 326 080. Open: All year. Price: €12. Rio de Onor – small site in a remote but extremely picturesque setting right on the Spanish border. Address: Parque de Campismo Rural de Rio de Onor, 5300-821 Rio de Onor, Bragança. Tel: 273 927 036 or 964 206 622. Email: turismo@gomov.pt Price: €7. Open: 1st Apr to 30th Sept.
CABRIL: Gerês Green Park – remote but beautiful location about 40km west of Montalegre just of the N308 south of the village of Cabril. Up a very steep hill! GPS: 41.7082-08.0415 Tel: 253 659 860 Email: geral@geresgreenpark.com Price: €15. Open: All year. CALDAS DO GERÊS: Camping Vidoeiro – set in a wooded mountain valley (beautiful but can be a bit gloomy if the sun’s not shining). Address: Vidoeiro, Caldas do Gerês, Terras de Bouro. Tel: 253 391 289 Email: gerescamping@gmail.com Price: €11.60 Open: May 15th to Oct 15th. Parque Cerdeira – attractive site in wooded setting and beautiful rural surroundings right on the edge of the national park. Address: Campo do Gerê, 4840-030 Terras de Bouro. Tel: 253 351 005 Email: info@parquecerdeira.com Price: €16.80 Open: All year. CALDAS DAS TAIPAS: Taipas Termal – campsite attached to a thermal spa and swimming pool complex in a riverside setting midway between Braga and Guimarães. Address: Largo das Termas, 4805-079 Caldas das Taipas. Tel: 253 576 274 Email: info@taipastermal.com Price: €5.80 Open: June 1st to Sept 12th. CAMINHA: Campsite Caminha – Orbitur site overlooking the mouth of the Minho estuary and handy for both the town and Atlantic beaches. Address: EN 13 – Km 90, Mata do Camarido, 4910-180 Caminha. Tel: 258 921 295. Price: €18.70. Open: All year. CHAVES: None of the three sites below are actually in the town (and two aren’t very near) but they are the closest in the area. Boticas – local site in a village off the N103 about 22km west of Chaves. All looks very new and sparkly clean in typical Portuguese municipal style. Address: Avenida Avelino Alves Miranda, 5460-304 Boticas. Tel: 924 431 696 Email: bombeiros.btc@sapo.pt Price: €7.30 Open: All year. Quinta de Rebentao – this site is about 5km south of town on the Vila Real road. It’s quite close to the road but the nearest site to Chaves. Address: Clube de Campismo e Caravanismo de Chaves, Avenida Tenente Valadim Nº 39, 5400-558 Chaves. Tel: 276 327 558 Email: cccchaves@sapo.pt Price: €8.60. Open: All year. Valpaços – this small site is actually about midway between Chaves and Mirandela. Wooden bungalows (chalets) are also available to hire. Address: Ponte de Vale Telhas – Lugar do Taxo, Possacos, Valpacos 5430-191 Vila Real. Tel: 278 759 354 Email: clube.campismo@hotmail.com Price: €10.40. Open: All year. COVAS: Camping Covas – wooded site near a village in the middle of the Minho countryside, facilities include bicycle hire, swimming pool, shop and restaurant. Address: Lugar da Pereiras, Covas, 4920-042 Vila Nova de Cerveira. GPS: 41.5319-08.4143. Tel: 251 941 555. Email: p.campismo.covas@sapo.pt Price: €12.60. Open: All year. ENTRE AMBOS-OS-RIOS: Lima Escape – in a beautiful wooded site set – as the name suggests – between two rivers, this is a good base for the upper Lima valley and the Peneda Gerê. Address: Lugar de Igreja, 4980-312 Entre Ambos-os-Rios. Tel: 258 588 361 or 964 96 309. Email: info@lima-escape.pt Price: €11.60 Open: May 15th to Sept 30th. Email: parque@cccbarcelos.com Price: €14.15 Open: May 15th to Sept 30th. FAFE: Barragem da Queimadela – about 8km north of the city, in wooded countryside near a small reservoir. Address: Rua da Barragem, Fafe 4820-560 Tel: 253 504 084 Email: foxtrotaventura@gmail.com Price: €9 Open: All year. FELGUEIRAS: Vila Fria Parque Rural – small site with open air pool, in countryside close to the Rio Vizela and the N101 midway between Amarante and Guimarães. Address: Lugar da Boavista, Vila Fria, Felgueiras. Tel: 255 346 403 Email: pcampfelgueiras@mail.telepac.pt Price: €11.34 Open: March 1st to Oct 31st. GUIMARÃES: Camping Penha – not really in the city but overlooking it from 400m above at the top of ‘Penha Mountain’. There is a cable car but to get there by road involves 7-8km of climbing with several hairpin bends. Address: Monte da Penha, 4810-048 Guimarães. Tel: 253 515 912 Email geral@turipenha.pt Price: €7.30 Open: May 1st to Sept 15th. LAMAS DE MOURO: Camping de Lamas de Mouro – set among trees on the western edge of the Peneda Gerês, just south of the village of Lamas de Mouro. Address: Veigas de Lama, 4960-170 Lamas de Mouro. GPS: 42.0357-08.1959 Tel: 251 466 041 Email: geral@montesdelaboreiro.pt Price: €12.10 Open: May 1st to Sept 30th. MATOSINHOS: Orbitur Angeiras – about 8km north of Porto and only a short distance from the beach. Address: Rua de Angeiras, 4455-039 Matosinhos. Tel: 229 270 571. Price: €18.70. Open: All year. MEDAS: Campidouro – large three star site right on the north bank of the Douro, about 25km from Porto, with tennis courts and swimming pool. Address: Estrada Lugar de Gavinho, 4515-397 Medas. Tel: 224 760 161 Email: geral@campidouro.pt Price: €14.90 Open: All year. MIRANDA DO DOURO: Campismo de Santa Luzia – now re-opened after a major makeover. In a wooded site to the west of town on the other side of one of the Douro’s tributaries. Address: Campismo de Santa Luzia, Bairro de Santa Luzia, 5210 Miranda do Douro. Tel: 273 431 273. Email: cultura@cm-mdouro.pt Open: 1st June – 30th September. MOGADOURO: Quinta da Aguira – very good municipal site on south west edge of town. Excellent facilities – clean and modern. Only bad thing about this site is the steep cobbled road leading down to the entrance. NOT good on a bike. Address: Complexo Desportivo Municipal, 5200-244 Mogadouro. Tel: 279 340 232. Email: complexodesportivo@mogadouro.pt Price: €5.50 Open: 1st April – 30th September. MONDIM DE BASTO: There’s a choice of two sites near this small town. Email: mondim.basto@fcmportugal.com Price: €11.53 Open: All year. Quinta do Rio – rural site run by a Dutch family on a former vineyard next to the Rio Tamega. Also has teepees and lodges to hire. Address: Rua do Quinta do Rio 1733, 4890-140 Canedo de Basto. Tel: 962 462 131 Email: quintadorio@kanguru.pt Price: €17.00 Open: All year. MONTALEGRE: Penedones – excellent site with two terraces looking out over the Rabagao Reservoir about 7km south of Montalegre. Probably one of the most beautiful views of any campsite in Portugal and with good modern facilities too (the ones higher up are best). Address: Parque de Campismo de Penedones, Albufeira do Alto Rabagao, 5470-069 Penedones. Tel: 276 442 112 Email: aquabarroso@gmail.com Open: All year. Price: €10. PENEDA GERÊS: For campsites in and around the national park, please see Cabril, Caldas de Gerês, Entre Ambos-Os-Rios and Lamas de Mouro. PONTE DE BARCA: See Entre Ambos-Os-Rios. PORTO: There are no campsites I’m aware of in the city – closest are Vila Nova da Gaia to the south, Medas in the Douro valley and Matosinhos to the north. POVOA DA VARZIM: See also Vila do Conde and Matosinhos. Rio Alto – another Orbitur site. Actually about 11km north of the resort town of Povoa de Varzim, with direct beach access plus usual facilities. Address: Orbitur Rio Alto, Lugar do Rio Alto, 4570-275 Povoa de Varzim. Tel: 252 615 699. Orbitur Viana do Castelo – I’m not 100% sure of the exact location of this one. Google shows it in the same place as the Inatel site listed above and the address here – given by Orbitur – doesn’t seem to exist! Address: Rua Diogo Álvares, 4935-161 Viana do Castelo. Tel: 258 322 167. Camping Arvore – just to the south of town. Run by the Clube Alpino Portugues – fees are less than half for members. Address: Rua do Cabreiro, 4480-116 Árvore. Tel: 252 633 225 Email: cnmporto@mail.telepac.pt Price: €17. Open: All year. Camping Vila Cha – municipal site about 3km to the south. Also has bungalows to rent. Address: Rua do Sol 150, 4485-722 Vila Chã. Tel: 229 283 163 Email: info@campingvilacha.com Price: Around €13. Open: All year. Camping Ave – this site is about 5km inland, next to the Rio Ave and close to the N104 from Santo Tirso. Address: Rua da Mocha Ferreiró 396, Ferreiró, 4480-250 Vila do Conde. Tel: 252 657 732 Email: info@campingave.net Price: €10.90. Open: All year. VILA FLOR: Parque de campismo – municipal site about 2km from town next to a leisure complex on the edge of a small reservoir. Address: Barragem Peneireiro, 5360-303 Vila Flor. GPS: 41.2942-07.171 Tel: 278 512 350 Email: geral@cm-vilaflor.pt Price: €5.10 Open: All year. VILA PRAIA DE ÂNCORA: see Ancora. Naturwaterpark – campsite attached to a water/holiday park in a rural setting about 12km east of Vila Real. Address: Quinta do Barroco, Póvoa Andrães, 5000-037 Vila Real. GPS: 41.2558-07.6525 Tel: 259 309 120 Email: geral@naturwaterpark.pt Price: €10 Open: All year. VIMIOSO: Parque de campismo – good municipal site opened in 2009 about 1km from town with pitches set on terrace among pine trees, a short walk from town. Clean, modern facilities. Address: EM 546, 5230-286 Vimioso. Tel: 273 511 034 Email: pcampismovms@gmail.com Price: €4.74. Open: All year. VINHAIS: Parque de campismo – rural site set within the Parque Biológico de Vinhais, which also offers bungalows and guesthouse accommodation. Address: Parque Biológico de Vinhais, Alto da Cidadelha, Apartado 15, 5320 Vinhais. Tel: 273 771 040 or 933 260 304. Email: geral@parquebiologicodevinhais.com Price: €9 Open: All year. AVEIRO: See Barra, Costa Nova, Sao Jacinto and Vagueira below. CASTELO BRANCO: Municipal site a few kilometres north of the town, just off the N18 road. Address: Estrada nacional 18, 6000-113 Castelo Branco. Tel: 272 322 577. Email: geral@albigec.pt Open: Jan 2nd to Nov 15th. COIMBRA: There’s a municipal site right in town – also see LOUSA and PENACOVA below. Coimbra Camping – Large municipal site and leisure centre on the south side of the city, close to the Rio Mondego, bus stop… and the main N17 ring road. Address: Rua Alto do Areeiro, 3030-011 Stº António dos Olivais. Tel: 239 086 902 Email: coimbra@cacampings.com Price: €13.80. Open: All year. CÔJA: Parque de Campismo de Côja – riverside setting in small town on the northern side of the Serra do Açor, run by the Portuguese Camping & Mountaineering Federation (FCMP). Address: Prego do Soito, 3305-096 Côja. Tel: 235 729 666 Email: coja@fcmportugal.com Price: €11.53 Open: All year. COSTA NOVA: Camping Costa Nova – site about 1km south of village. Direct access to beach. Clean and neat – showers were only a dribble when we visited a few years ago but otherwise good facilities. Address: Quinta dos Patos-Costa Nova do Prado, 3830-453 Ilhavo. Tel: 234 393 220. Price: €12-13. ESPINHO: Parque de Campismo de Esmoriz – site run by the Camping Club of Porto, about 9km south of Espinho and around 200m from the beach as Praia de Espinho. Address: Rua Clube de Campismo do Porto, 3885-529 Esmoriz. Tel: 256 752 709 Email: ccporto@mail.telepac.pt Price: €8.20. Open: All year. FIGUEIRA DA FOZ: See also Quiaios below. Foz do Mondego – camping park on a peninsula right at the mouth of the Mondego, on the south side opposite the main resort. Run by the Portuguese Camping & Mountaineering Federation (FCMP). Address: Rua do Cabedelo 37, Cabedelo, 3090-661 Figueira da Foz Tel: 233 402 740 Email: foz.mondego@fcmportugal.com Price: €12.45 Open: All year. Orbitur Gala – large site in wooded area about 400m from the beach and about 7km from the resort town of Figueira da Foz (on the opposite side of the Mondego estuary). Address: EN 109, Km 4 Gala, 3090-458 Figueira da Foz. Tel: 233 431 492 Price: €18.70. Open: All year. FIGUEIRO DOS VINHOS: Campo Figueira – small campsite with six pitches and a caravan to rent in a small village about 10km north-east of the town of Figueiro dos Vinhos. Address: Rua de Serra, Figueira, 3270-021 Graca. Tel: 910 296 569 Email: jackiegreen63@msn.com Price: €5. GUARDA: Parque Campismo da Guarda – municipal site – nothing fancy but cheap and convenient for old town (although getting there involves a serious climb!) Address: Avendia Estadio Municipal, 6300-705, Guarda. Tel: 271 221 200. 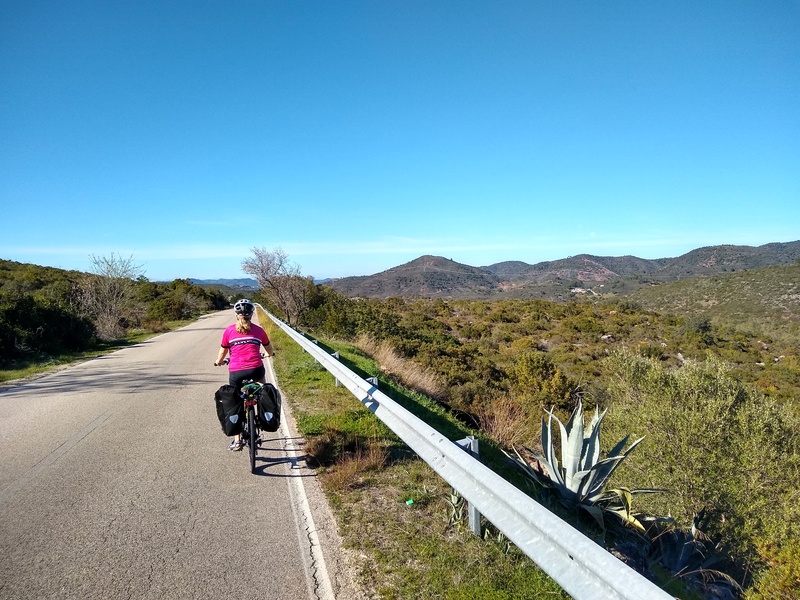 IDANHA-A-NOVA: Camping Municipal – this former Orbitur site, now run by the local council, is a little way out of town (and up a steep hill) but in a beautiful and very peaceful spot only metres from the Marechal Carmona Reservoir. Address: Parque de Campismo Municipal de Idanha-a-Nova, Estrada Nacional 354-1 Km 8, 6060-192 Idanha-a-Nova. Tel: 277 201 029 Email: parquecampismo@cmcd.pt Price: €8. Open: All year. LAMEGO: Camping Lamego – Lamego is just to the south of the River Douro and this campsite is a little way out of town, heading towards Castro D’Aire and Viseu. Address: EN-2, Lugar da Raposeira, 5101-909 Lamego. Tel: 969 021 408 Email: campinglamego@gmail.com Price: €9. LOUSA: Camping Serpins – municipal site in a village a few kms north-east of Lousa. Riverside setting. Address: Parque de Campismo Municipal de Serpins, Largo da Nossa Sra da Graça, 3200-358 Serpins. Tel: 239 971 141. Email: geral@campingserpins.com Price: €10. LUSO: Parque de Campismo – site about 1.5km from the centre of the spa town, also handy for the Bussaco national forest. Address: Quinta de Vale do Jorge, 3050-246 Luso. Tel: 912 755 262 or 231 107 551 Email: parquecampismoluso@gmail.com Price: €14.15 Open: All year. MÊDA: Parque de campismo – excellent new municipal site adjoining the town’s tennis courts and swimming pool with superb, modern facilities. Address: Av. Professor Adriano Vasco Rodrigues, 6430 Mêda. Tel: 925 480 500 or 279 883 270. Price: €6. Open: All year. MIRA: There are a number of options on the coast here – see also Costa Nova. Orbitur Mira – near the lake to the south of Praia da Mira. Address: Estrada Florestal 1 Km 2, Dunas de Mira, 3070-792 Mira. Mira Parque Municipal – north of the Orbitur site and slightly closer to the beach and town. Address: Parque Municipal de Campismo, Avenida da Barrinha, 3070-792 Praia de Mira. GPS: 40.265622-08.48429 Tel: 231 472 173. Email: parque.campismo@cm-mira.pt Price: €13.50. Open: All year. Vila Caia – shady site near a small lake, a few km back from the beach, closer to the town of Mira. Address: Travessa da Carreira de Tiro, 3070-176 Mira. Tel: 231 451 524. Email: info@vilacaia.com. Price: €12.40. Open: All year. MOIMENTA DA BEIRA: Barragem de Vilar – municipal site next to a river/reservoir beach. Address: EN 533, Barragem do Vilar, 3620-520 Vilar, Moimenta da Beira. GPS: 40.9853-07.5387 Tel: 254 584 209 Email: posto-turismo@cm-moimenta.pt Open: April to Sept.
OLIVEIRA DO HOPITAL: Ponte das Tres Entradas – this riverside site is 10km south of Oliveira do Hopital at the south west end of the Serra da Estrela and very close to the Serra da Acor. The site is right next to the bridge. Address: Parque de Campismo, Rua Principal, Ponte das Três Entradas, 3400-591 Santa Ovaia. GPS: 40.1825-07.5217 Tel: For an English speaker, call 911 858 316 Email: ponte3entradas@sapo.pt Price: €10. Open: All year except Jan.
PENAMACOR: Campismo Freixial – peaceful rural site by a small river, close to the Spanish border, about 11.5km off the N233 road from Penamacor. Address: Parque do Campismo de Freixial, Aranhas, 6090-565 Penamacor. GPS: 40.0741-07.0415 Tel: 277 385 529. Email: campismofreixial@cm-penamacor.pt Price: €8. Open: April 1st – Oct 31st. PENACOVA: Parque de Campismo Rural – campsite on the opposite bank of the Rio Mondego from the town. Address: Estrada de Carvoeira, 3360-179 Penacova. Tel: 239 477 464 Email: penacova@fcmportugal.com Price: €11.53 Open: All year. QUIAIOS: Quiaios Campismo – if you want to escape the crowds at Figueira da Foz then this former Orbitur site just back from the beach at Praia de Quiaios is a good choice. Strolling distance to the beach and the small community here – the main village is a few km back inland. Can be busy in the height of summer but otherwise a pleasant site. Address: Quiaios Campismo, Rua Parque de Campismo, Praia de Quiaios, Quiaios, 3080-515 Figueira da Foz Tel: 233 910 499 Email: campismo@jf-quiaios.pt Price: €10.50. SAO JACINTO: Orbitur Sao Jacinto – set on a sandy peninsula between the Aveiro lagoon and the wild beaches of the Atlantic coast. Address: Estrada Nacional 327, Km 20, 3800-901 Aveiro. Tel: 234 838 284. Price: €16. Open: All year. SATAO: Camping Quinta Chave Grande – Dutch-owned site on old farm near the small town of Satao. Very nice rural setting but very expensive compared to other Portuguese sites. Address: Camping Quinta Chave Grande, Rua do Barreiro 462, Casfreires, Ferreira d’ Aves, 3560-043 Satao. Tel: 232 665 552 Email: info@chavegrande.com Price: €16. Open: 1st April – 15th October. VAGUEIRA: Orbitur Vagueira – probably the closest campsite to Aveiro, set in a pine forest close to a lagoon, with the beaches on the other side. Address: Rua Parque do Campismo, Gafanha da Boa-Hora, 3840-254 Vagueira Vagos. Tel: 234 797 526. Price: €16. Open: All year. 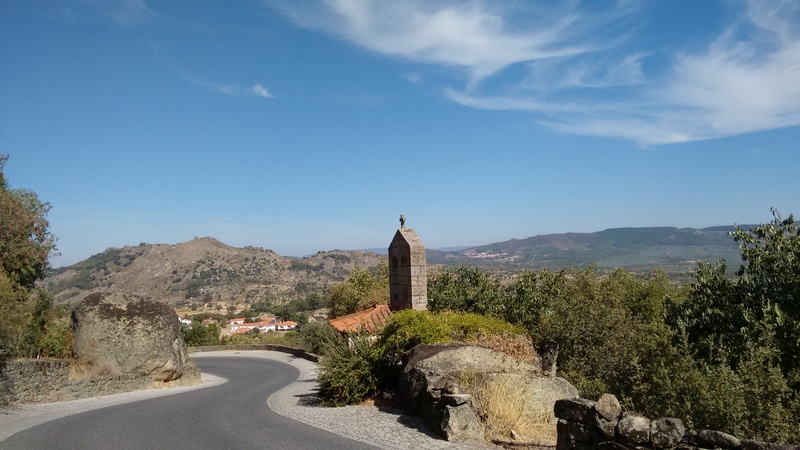 VALHELHAS: Rossio de Valhelhas – midway between Covilha and Guarda, this site is close to the river and the N232 road that runs west from Belmonte into the heart of the Serra da Estrela. Address: N232, 6300-235 Valhelhas Tel: 275 487 160 Email: valhelhascampismo@gmail.com Price: €6.70. Open: May 1st to Sept 30th. VILA NOVA DA GAIA: Orbitur Madalena – wooded site near the beach and 10km out towards the coast from the town, which is on the opposite bank of the river from Porto. Address: Rua de Cerro 608, Praia da Madalena, 4405-736 Vila Nova de Gaia. Tel: 227 122 520. Price: €18.70. Open: All year. VILA VELHA DE RODÃO: See Nisa in Alentejo section. ABRANTES: The local municipal site has now reopened (with a new name) after a lengthy overhaul. See also Castelo do Bode, Constancia and Ortiga. Parque Tejo – municipal site about 2km from town, next to the Rio Tejo. Has now reopened according to local tourist office website. Address: Avenida Marginal do Tejo, Rossio ao Sul do Tejo, 2205-003 Abrantes. Tel: 241 105 324 Email: parquetejo@cm-abrantes.pt Open: All year. ALCANENA: Olhos de Agua – site in countryside next to a praia fluvial (river beach) on the edge of the Serras de Aire e Candeeiros natural park. The area is also known for nearby dinosaur footprints. Address: Praia Fluvial dos Olhos d’Água do Alviela, Louriceira, 2380-450 Alcanena. Tel: 249 889 010 Price: €7.50 Open: All year. Silveira Camping – just 20 plots on an old farm in a rural setting about 3km south of town. Address: Parque de Campismo Rural da Silveira, Capuchos, 2460-479 Alcobaça. Tel: 262 509 573 Email: silveira.capuchos@gmail.com Price: €10.70. Open: May 15th to Sept 15th. Alenquer Camping & Bungalows – this site is about 2km out of town. Address: Casal das Pedras, EN9 Km 94, 2580-330 Alenquer. Tel: 263 710 375 Email: camping@dosdin.pt Price: €13. Open: All year. CALDAS DA RAINHA: Orbitur Foz do Arelho – another big Orbitur site, this one is about 8km out towards the coast, close to the seaside/lagoon town of Foz do Arelho. Address: Rua Maldonado Freitas, Foz do Arelho, 2500-516 Caldas da Rainha. Tel: 262 978 683. Price: €18.70. Open: All year. CASCAIS: Orbitur Guincho – relatively convenient for Lisbon as well as nearby beaches. Address: Estrada Nacional 247 6, Lugar de Areia, 2750-053 Cascais. Tel: 214 870 450 Price: €18.40 Open: All year. Camping Lake Portugal – a new site on the northern shore of the reservoir and just a short distance from the dam. The site has direct access to the reservoir, plus a restaurant, shop etc. Address: Rua do Rio 6, Alverangel, 2300-152 São Pedro de Tomar. Tel: 918 227 429 Email: alverangelcampismo@gmail.com Price: €13.50 Open: Feb 1st to Dec 31st. Castelo do Bode – wooded site a stone’s throw from the dam and reservoir, run by the Portuguese Camping & Mountaineering Federation. Address: Estrada do Campismo, 2200-638 Martinchel. Tel: 241 849 262 Email: castelo.bode@fcmportugal.com Price: €10.87 Open: From May. COSTA DA CAPARICA: There’s a choice of two large sites in this tourist resort that’s one of the top escapes for people living in Lisbon. Orbitur Costa Caparica – site with a variety of facilities, including a mini-market and bar. Around 200m from the beach. Address: Avenida Afonso de Albuquerque, 2825-450 Costa de Caparica. Tel: 226 061 360. Price: €20.40 Open: All year. ERICEIRA: Ericeira Camping – the best thing about this site is the position – the sea’s just across the road and it’s only about 1km north of Ericeira’s charming old centre. But the site isn’t cheap and on a visit in 2011 it was scruffy (lots of litter) and the facilities were poor – cold water only, cracked tiles and concrete floors in the washrooms. However, there aren’t a lot of options for campers on this stretch of coast. Address: Parque de Campismo de Mil Regos, Estrada Nacional 247, 2655-319 Ericeira. Tel: 261 862 706 Email: info@ericeiracamping.com Price: €17.50. GOLEGA: Camping Municipal – municipal site in the attractive town of Golega, famous for its annual equestrian festival. The site isn’t large but it’s well laid out and reopened with new facilities in 2012. Address: Parque Municipal de Campismo, Largo do Parque Campismo, Golega. Tel: 249 979 003 Email: parque.campismo@cm-golega.pt Price: €6.30. Almornos – wooded site just beyond the outskirts of city, about 19km to the north west of the centre. Run by the Camping Club of Lisbon. Address: Parque de Campismo do CCL – Almornos, 2715-405 Pero Pinheiro. Tel: 219 623 960 Email: cclalmornos@clubecampismolisboa.pt Open: All year. Lisboa Camping – large complex set in pine woods, about 9km west of the centre, also has bungalows to rent, swimming pool etc. Address: Estrada da Circunvalação, 1400-061 Lisbon. Tel: 217 628 200 Price: €32 (cost for pitch including vehicle) Email: info@lisboacamping.com Open: All year. NAZARÉ: There are two sites close to the town – see also São Martinho do Porto (south), Alcobaça (east) and São Pedro do Moel (north). Orbitur Valado – The site is about 1.5km inland from the town centre – and up a reasonable climb – but does have the benefit of a wooded setting if you need shade. Address: R. dos Combatentes do Ultramar 2, EN 8-5 Km 9, 2450-148 Nazaré. Tel: 262 561 111. Price: €18.20. Open: All year. Vale Paraiso – translated as ‘paradise valley’ this is actually on a wooded hill off the main N242 north and about 3km from both beach and town. Address: Estrada Nacional 242, 2450-138 Nazaré. Tel: 262 561 800. Price: €14.40. Open: All year. ORTIGA: Parque Municipal – small terraced site overlooking an inlet of the Rio Tejo. There’s a river beach and small cafe, although no shops locally. However, the nearby dam/bridge makes an excellent quiet crossing point for cyclists wanting to get across the Tejo. Address: Estrada da Barragem – Ortiga, 6120-525 Ortiga-Mação. Tel: 241 573 464 Email: campismo@cm-macao.pt (scroll down for campsite info) Price: €6. Open: All year. PINHAL NOVO: Camping Vasco da Gama – holiday park just north of town, to the south-east of Lisbon. Address: Rua Lagoa Brazida, Salgueirinha, 2955-075 Pinhal Novo. Tel: 212 362 361 Price: €12. SALVATERRA DE MAGO: Parque de Escaroupim – site close to the Rio Tejo between Salvaterra and Casa Cadaval, run by Portugal’s Camping & Mountaineering Federation (FCMP). Address: Mata Florestal, Escaroupim, 2120-018 Salvaterra de Magos. Tel: 263 595 484 Email: escaroupim@fcmportugal.com Price: €11.53. Open: All year. SANTA CRUZ: Camping Praia de SantaCruz – the town gets a lousy write-up in the Rough Guide but isn’t that bad and has some lovely beaches.The campsite is huge and mostly occupied by permanent caravans. In high season tourers might be stuck on a raised sand bed with no shelter! Outside July and August, you should be able to get in under the pine trees. It’s all sand but the facilities are pristine (much nicer than Ericeira) and a fair bit cheaper. Address: Avenida Joaquim Agostinho, Santa Cruz, 2560-495 Silveira. Tel: 261 930 150 Email: info@campismosantacruz.pt Price: €11. SÃO MARTINHO DO PORTO: There’s a choice of two sites, one in town and one out. Colina do Sol – an 11 hectare (27 acre) site in a wooded setting 1km or so north of the town but with pedestrian access through to Gralha beach. Address: Parque de Campismo Colina do Sol, Serra dos Mangues, 2460-697 Sao Martinho do Porto. Tel: 262 989 764. Email: geral@colinadosol.net Price: €15. Baía Azul – municipal campsite right on the edge of town and opposite the bay after which it is named. Convenient but with no shade. Address: Avenida Marginal, 2460-096 São Martinho do Porto. Tel: 262 989 847. Email: parquecampismo@freguesiasaomartinhodoporto.pt Price: €11.20 – cold showers are free but €1 for hot. SÃO PEDRO DE MOEL: There’s a choice of two sites here – plus a third about 8km south. Campigir São Pedro de Moel – with the cliffs literally on the other side of the road, this is the closest site to the sea. Address: Av. do Farol, 2430-502 Marinha Grande. Tel: 244 599 289 Email: saopedromoel@campigir.com Price: €11.05. Orbitur S. Pedro de Moel – this is a more sheltered option in the town but does also feels much more enclosed. Address: Rua Volta do Sete, S. Pedro de Moel, 2430 Marinha Grande. Tel: 244 599 168. Price: €20.40. Open: All year. Camping Paredes da Vitoria – this site is a bit of a way from the town but there’s a huge sandy beach just down the road and a small resort area with a few shops and cafes. Address: Camping Paredes da Vitoria, 2445-130 Pataias. Tel: 244 589 520. Email: campingparedesdavitoria@gmail.com Price: €6.80 – plus €1 for hot showers. Open: May to October. SESIMBRA: The municipal site at Forte do Cavalo is the only one in town, the others are out towards the Atlantic beaches to the north-west. Camping Fetais – close to Praia do Beco beach to NW of Sesimbra. Address: R. da Fonte 4 – Fetais – Aldeia do Meco, 2970-063 Sesimbra. Tel: 212 682 978 Email: geral@camping-fetais.com Price: €15.00 Open: All year. Campigir Valbom – part of a small chain of holiday parks (also in Sao Pedro do Moel and Sines). This site is set in pine trees in an inland area north of Sesimbra. Address: Charneca da Cotovia, 2970 Sesimbra. Tel: 212 687 545. 545 Email: valbom@campigir.com Price: €12.40. Forte do Cavalo Municipal Campsite – set up above the west of town, next to the fort overlooking the harbour and marina. Address: Campismo Municipal, 2970-152 Sesimbra. Tel: 212 288 508. Email: campismo.fortedocavalo@cm-sesimbra.pt Price: €10.75 Open: 1st Feb to 5th Jan.
TOMAR: Sadly the municipal site in the town is now just an aire for campervans – although you may still be able to camp there if you’re not fussy about facilities. Otherwise there are two rural sites nearby. See also Castelo do Bode. Camping Pelinos 77 – about 9km to the north east of town, Dutch-run rural site offering a swimming pool, free wi-fi and spacious sites. Address: Pelinos 77, Aboboreiras, 2300-093 Tomar. Tel: 249 301 814 Email: info@campingpelinos.com Price: €13. Open: Feb 15th to Oct 15th. Camping Redondo – about 11km east north east, campsite and lodge complex set in countryside next to a small village, also with a swimming pool. Address: Rua do Casal Rei 6, Poço Redondo, Junceira, 2300-035 Tomar. Tel: 249 376 421 Email: info@campingredondo.com Price: €10. Open: All year. ALANDROAL: Camping Rosario – rural, Dutch-run site with private pool next to a branch of the Alqueva lake in the northern Alentejo, about 14km south of Alandroal (which is south of Vila Viçosa and Borba). Address (postal): Camping Rosário, Ernst Hendriksen, Apartado 27, 7250-999 Alandroal. Tel: 268 459 566 or 963 679 945 Email: info@campingrosario.com Price: €13.35 Open: Mar 1st to Oct 31st. ALCACER DO SAL: The municipal parque de campismo is a short distance to the north of town. Address: Olival do Outeiro, 7580 Alcácer do Sal. Tel: 265 612 303 Email: turismoalcacer@m-alcacerdosal.pt Open: Jan 16th to December 14th. AMOREIRAS-GARE: Corgo do Pardieiro – Dutch-run site set in countryside about 2.5km (on dirt track) from village/station of Amoreiras-Gare. Address: Corgo do Pardieiro, 7630-514, Amoreiras-Gare. Tel: 938 932 857. Email: sol.luz.sao@gmail.com Price: By donation. AVIS: Albufeira do Maranhao – the former municipal site is now run by the Camping Club of Lisbon. It’s a terraced site a few km from this hilltop Alentejo town and on the edge of a large reservoir with adjoining watersports centre. Shade is at a premium and ground hard but location is beautiful. Address: Parque Campismo da Albufeira do Maranhao, Lugar do Clube Náutico de Avis, 7480 Avis. Tel: 242 412 452 Email: parque_campismo@cm-avis.pt Price: €10.50. BEJA: Parque do campismo – municipal site within a short walk of the centre. Also includes entry to the municipal pool when open. Address: Avenida Vasco da Gama, 7800-397 Beja. GPS: 38.029-07.5142 Tel: 284 311911 Email: campismo@cm-beja.pt Price: €7 Open: All year. CABEÇÃO: Gameiro – site run by the Camping Club of Lisbon next to a praia fluvial (swimming beach), close to Mora on the N2. Address: Parque de Campismo do CCL – Gameiro, 7490-MORA. Tel: 926 100 768. Open: All year. Camping os Anjos – site with 30 pitches, run by a Dutch couple, just outside the small Alentejean town of Campo Maior, about 15km from Badajoz in Spain and 20km from Elvas. Address: Estrada da Senhora da Saude, 7370-150 Campo Maior. Tel: 268 688 138 Email: info@campingosanjos.com Price: €11.70 Open: Apr 1st to Nov 1st. Parque de Campismo de Campo Maior – municipal site now run by the Camping Club of Lisbon. Set near a small reservoir about 6km west of town. Address: Estrada da Barragem do Caia. Tel: 926 651 899 or 926 651 855. Open: All year. CASTELO DE VIDE: Quinta do Pomarinho – Very pleasant site a short distance off the N246. It’s a few kilometres back round into town but there’s also a nice walking route taking you around the hill. Pitches a bit uneven and rocky but peaceful location, good facilities and friendly owners. Address: Quinta do Pomarinho, N246 km16.5, 7320-421 Castelo de Vide. GPS: 39.2353-07. 2914 Tel: 965 755 341 Email: info@pomarinho.com Price: €13.50. ELVAS: Camping Piedade – in the suburbs, about 1km west of the city centre, just off the N4. Address: Confraria do Senhor Jesus da Piedade – Apartado 78, Elvas. Tel: 268 628 997. Open: April 1st – Sept 15th. 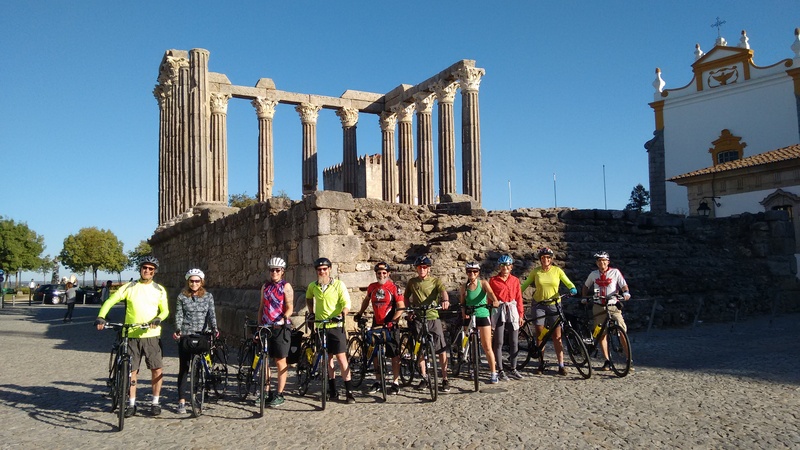 ÉVORA: Two options – one just outside the town and other about 15km out. Orbitur Evora – a bit of a walk into town, close to a road and not huge but the facilities are okay. Address: Estrada de Alcáçovas, Herdade Esparragosa, 7005-206 Évora. Tel: 266 705 190. Open: All year. Quinta de São Jorge – Dutch-run site just off the N380 going towards Alcáçovas. Has space for 10 units on two hectares of land. Plus storks! Address: Quinta de São Jorge, Nª Srª da Tourega, 7000-088 Évora, Portugal. Tel: 266 711 215. Email: jjvvtv@gmail.com Price: €10.50 (wi-fi €3 extra). Open: All year. Camping Beira-Marvao Alentejo – small Dutch-run site in the countryside north of Marvão. Address: Estr. de Castelo de Vide, 7330-013 Beira-Marvao. Tel: 245 992 360. Price: €13.50. Open: All year. Camping Asseiceira – this one is British run and off to the north-east of Marvão, a short walk from the village of Santo António Das Areias. Address: 7330-204 Santo António Das Areias. Tel: 245 992 940. Email: gary-campingasseiceira@hotmail.com Price: €15.00. Open: All year. MONTARGIL: Orbitur Montargil – in the depths of the Alentejo countryside, on the edge of the Montargil reservoir. Address: EN2, 7425-017 Montargil. Tel: 242 901 207. Price: €18.20. Open: All year. MORA: Gameiro Parque Rural – rural site about 6km east of town, next to a small reservoir. Run by the Lisbon Camping Club (CCL). Address: Parque de Campismo do CCL – Gameiro, 7490-Mora. Tel: 926 100 768 Email: geral@clubecampismolisboa.pt Open: All year. NISA: Tejo Jardim – not a ‘normal’ campsite but a riverside spot where the British owner rents out 4-person safari tents and has limited spaces for passing visitors. Address: Tejo Jardim, Santana Nisa, Portalegre. Tel: 968 613 637 Email: tejojardim@gmail.com Price: €5 (two people with own tent) Open: All year. ODIVELAS: Parque Markádia – 25-acre site on a peninsula sticking out into the huge Odivelas reservoir, roughly midway between Alvito and Ferreira do Alentejo. Also offers apartments. Address: Parque Markádia, Barragem de Odivelas, Apartado 17, 7920-999 Alvito. Tel: 284 763 141 Email: markadia@hotmail.com Price: €18 Open: All year. OURIQUE: Serro da Bica – small Dutch-run campsite (space for 40 people) in countryside just off the IC1 south of Ourique. Address: Horta da Bica, Aldeia de Palheiros, 7670-202 Ourique. Note: This site closed in August 2017 and was for sale. No information on if it has reopened. PORTO COVO: Three options here. Camping Peach Island – camping and caravan park just south of village and only a few hundred metres from the beach. Address: R. da Ilha, 7520-421 Porto Covo. 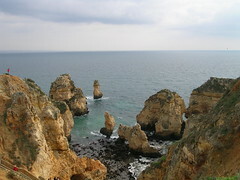 Tel: 269 905 178 Email: info@ilhadopessegueirocamping.com Price: €11.25. Camping Porto Covo – holiday park with swimming pool etc. just on edge of village. Address: Estrada Mun. 554, 7520-437 Porto Covo. Tel: 269 905 136 Email: camping.portocovo@gmail.com Price: €12.10 Open: All year. 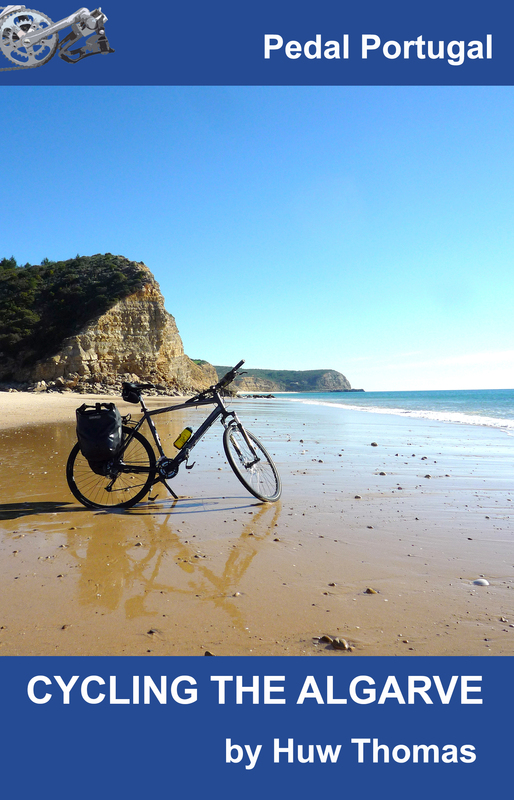 Costa do Vizir – set on a six hectare woodland site, offering ‘glamping’, bungalows etc as well as tent spaces. Address: Parque de campismo Costa do Vizir, Monte Branco, 7520 – 437 Porto Covo. Tel: 269 959 100. Email: info@costadovizir.com Price: €18.40 Open: All year. SANTIAGO DO CACÉM: Lagoa de Santo André – about 17km north west of town, on the edge of a nature reserve and about 1km from the beach, this is another site run by the Portuguese Camping & Mountaineering Federation. Address: Parque de Campismo Lagoa de Santo André, 7500-024 Santo André. Tel: 269 708 550 Email: s.andre@fcmportugal.com Price: €12.45 Open: All year. SAO TEOTONIO: There are two sites on the coast near here – one in the popular seaside village of Zambujeira do Mar and another out in the wilds just to the south. Camping Zambujeira – large site 400m from the village. Also has apartments to rent. Address: Camping Zambujeira, 7630-740 Zambujeira do Mar. Tel: 283 961 172 Email: campingzambujeira@gmail.com Price: €19. Open: April 1st – Oct 31st. Monte Carvalhal da Rocha – set in farmland near some wild cliffs and small beaches, this site combines bungalows and a spa complex with camping. Address: Praia do Carvalhal, Brejão, 7630-569 Sao Teotónio. Tel: +351 282 947 293 Email: geral@montecarvalhaldarocha.com Price: €19.50. 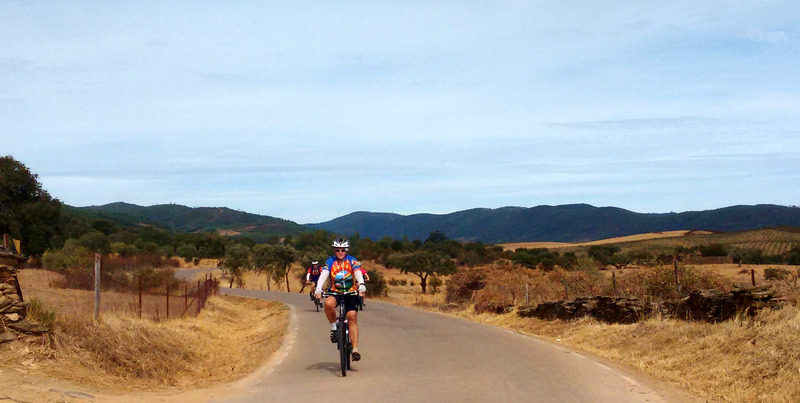 SERPA: Parque de Campismo – excellent municipal site just outside old town. Great location, good facilities – and cheap! Address: Eira de S. Pedro, 7830-303 Serpa. GPS: 37.5628–07.3615 Tel: 284 544 290 Email: parquecampismoserpa@cm-serpa.pt Price: €7. Open: All year. SINES: Campigir Sao Torpes – this site is about 12 km SE of the big port city of Sines. Address: Estrada Nacional 120, Herdade do Morgavel, São Torpes, 7520 Sines. Tel: 269 632 105 Price: €11.05. Open: All year. VILA NOVA DE MILFONTES: There are two sites here – a municipal one in town and a nearby Orbitur site. Camping Milfontes – large site next to the town centre and 800m from the beach. Also provides teepees and bungalows to rent. Address: Camping Milfontes, 7645-300 Vila Nova de Milfontes. Tel: 283 996 140 Price: €13.50. Open: All year. VIMIEIRO: Bubulcus & Bolotas – secluded eco-powered site with 25 pitches, plus ‘rent-a-tent’, on site in countryside 3km west of town, off the N251 between Vimieiro and Pavia. Address: N251, km 94, Vimieiro. Tel: 963 722 564. Email: info@bbcamping.eu Price: €13.50. Open: All year. ZAMBUJEIRA DO MAR: See Sao Teotonio. ALBUFEIRA: Albufeira Camping – large resort site on northern side of town. Address: Estrada de Ferreiras, 8200-555 Albufeira. Tel: 289 587 630 Email: info@campingalbufeira.net Price: €17 – seven-night stay minimum in high season. Open: All year. ALJEZUR: Campismo do Serrão – set in countryside about 4km to the north of Aljezur and about 1km off the N120. Address: Herdade do Serrão, 8670-121 Aljezur. Tel: 282 990 220. Email: info@campingserrao.com Price: €16. Open: All year. Camping Armação de Pêra – pitches set among poplar, eucalyptus, carob and almond trees on the edge of the village. Address: EN 269-1 Km2, 8365-184 Armação de Pêra. Tel: 282 312 260 Price: €15.25 Open: All year. Camping Canelas– two camping areas set among pine, almond and fig trees at this site, which is about 1km further out of town. Address: EN 269, 8365-908 Armação de Pêra. Tel: 282 312 612 Price: €15. Open: All year. Huelva (Spain). Tel: +34 959 343 318. Email: recepcion@campinggiralda.com Price: €21. FUSETA: Parque Campismo – municipal site on the edge of the village, next to the lagoon and beach. Very cheap compared to others in the area. Address: Rua General Humberto Delgado, Fuseta. GPS: 37.0310-07.4442 Tel: 289 793 459/451 Email: camping@jf-fuseta.pt Price: €10.25 Euros. Open: All year. LAGOS: There’s only one site in town – the smart place on the hill overlooking the river is only for members of the military and their families. However there are a couple of other options nearby. See also Mexilhoeira Grande and Salema. Camping Trinidade – it might describe itself as a “one star” campsite but it’s also the only one in Lagos open to the public. Address: Rossio da Trindade, 8600-906 Lagos. GPS: 37.0541-08.4019 Tel: 282 763 893. Email: campismotrindade@gmail.com Price: €12.00 Open: All year. Orbitur Valverde – a little way inland from Praia da Luz where the original fishing village still retains a few hints of its roots. Address: Estrada da Praia da Luz, 8600-148 Lagos. Tel: 282 789 211. Price: €20.40. Open: All year. Turiscampo – pleasant-looking site just off the main road to Sagres, next to the village of Espiche and about 5km from Lagos itself (but with a bus stop outside). Address: Estrada Nacional 125, 8600-109 Lagos. Tel: 282 789 265. Email: info@turiscampo.com Price: Ranges from €18 low season to €34 in high. MEXILHOEIRA GRANDE: Chickenrun Campsite – small rural site owned by English ex-pats. Address: Casa Chickenrun, Varzia do Farelo, Mexilhoeira Grande, Portimao. 8500-160. Tel: +44 792 323 5757 Email: chickenrun_info@aim.com Price: €5 Open: All year. MONCARAPACHO: Algarve Camping – no information or contact details for this site but it gets a couple of good reviews on TripAdvisor. Address: En 398 815T, 8700 Moncarapacho. MONTE GORDO: Camping Monte Gordo – municipal site on the edge of the village, close to the beach and only about 2km from the border town of Vila Real de Santo Antonio. Address: EM 511, Monte Gordo, 8900 Vila Real de Santo António. Tel: 281 510 971 Email: geral@cm-vrsa.pt Price: €15 Open: All year. ODECEIXE: Camping Sao Miguel – technically, the site is in the Alentejo as it’s on the other side of the Seixe river (and up a reasonable hill!) but the town itself is just across the border and in the Algarve, hence its listing here. Attractive site with a hillside setting, views across the valley and plenty of pine trees for shade. Address: São Miguel, São Teotónio, 7630-592. Tel: 282 947 145 ‎Price: €21. OLHÃO: Orbitur Ilha da Armona – seasonal site set on a small island connected to the mainland by a regular boat service. Address: Ilha de Armona, 8700-282 Olhão. Tel: 289 714 173. Price: not available. Open: April 1st to Sept 30th. QUARTEIRA: Orbitur Quarteira – large site right next to the town and only 600m from the beach. Address: Estrada da Fonte Santa, Avenida Sá Carneiro, 8125-618 Quarteira. Tel: 289 302 826 Price: €20.40. Open: All year. SAGRES: Orbitur Sagres – this site is a little way out of town and also about 1km from the closest beach but offers Orbitur’s usual pine tree setting. Address: Cerro das Moitas, 8650-998 Vila de Sagres. Tel: 282 624 371 Price: €17.20. Open: All year. SALEMA: Salema Eco Camp– shady site in a valley just above the old fishing village and pretty beach at Salema. Address: Praia da Salema, 8650-196 Budens. Tel: 282 695 201 Email: info@salemaecocamp.com Price: €18. Open: All year. SILVES: Campismo O Paraíso – small rural site set on terraces in an orange orchard, next to the river and about 3.5km west of town just off the N124. Address: Quinta da Rocha Branca, 8300-026 Silves. Tel: 967 659 700 Email: info@camping-silves.com Open: All year. SANTA CATARINA DE FONTE DA BISPO: Quinta Monte Verde – very small, adult only rural site with just a few pitches. Has wifi and swimming pool. Address: Quinta Monte Verde, 8800-156 Santa Catarina de Fonte da Bispo. GPS: 37.0809-07.4732 Tel: 935 088 336. Price: €12.50. Open: All year. SAO BARTOLOMEU DE MESSINES: Quinta de Odelouca – rural campsite in the hills about 18km to the north of Sao Bartolomeu, access is via 2km of unsealed track from the main IC1 route up into the Alentejo. Address: Vale Grande de Baixo, 8375-215 São Marcos da Serra. Tel: 282 361 718 Email: info@quintaodelouca.com Price: €12 Open: Jan 1st to Oct 31st. TAVIRA: There are three options close to the town – although one’s on an island and only a summer option! 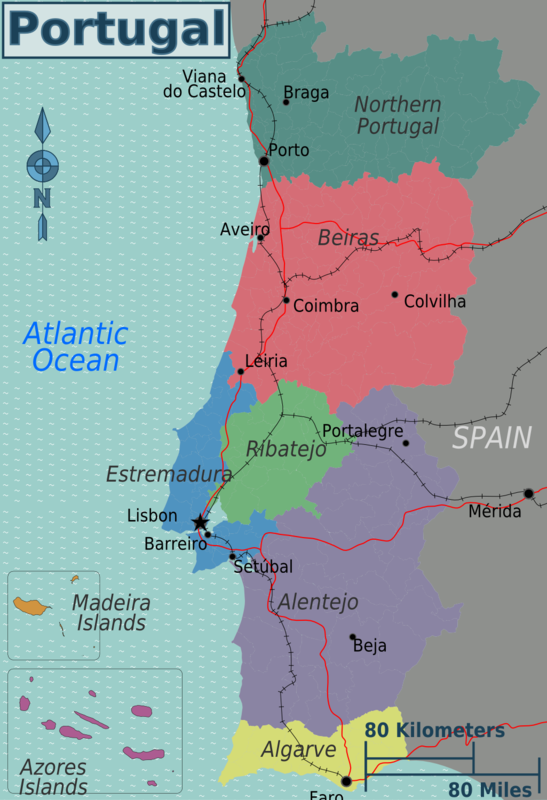 See also Vila Nova de Cacela and Fuseta. Camping Ria Formosa – big holiday park with 350 pitches for tents as well as mobile homes, caravans, bungalows to rent etc. Address: Quinta da Gomeira – Cabanas de Tavira, 8800-591 Tavira, Portugal. Tel: 281 328 887 Email: info@campingriaformosa.com Price: €15.80. Camping Tavira – a short boat ride away, this site is set amongst the pine trees of the Ilha da Tavira, part of the Ria Formosa nature reserve. Address: Ilha de Tavira, 8800 Tavira. Tel: 281 321 709 Email: info.campingtavira@gmail.com Price: €17.50. Open: May-September. VILA REAL DE SANTO ANTONIO: See Monte Gordo. Hi Huw, got a couple of sites to add to the list. I’m staying at a campsite just east of Sertã called Eventur. Beautiful setting next the river but that beauty is offset a little by being so close to the IC8! They also have a site in Pedrógão Grande but I’ve not stayed there. The ride between the two is also fantastic along the N2 and N241. There’s no traffic as it follows the IC8. It’s also quite a climb back to the N241 from the site. 3km at 6.5%, great way to start the day! Thanks very much for the updates. I’m on the road myself at the moment (not camping!) So not responding to messages as fast as some times. However I will definitely add in any extra sites you find when I’m back home. Campismo do Serrão near Aljezur is only € 7.30 out of season. Good to know – prices listed are all high season prices. This is a very very useful list with useful and nice details. Thanks for preparing and sharing. My pleasure – glad it’s useful.